Manasa graduated from the University of Wisconsin–Madison with a Master’s degree in Econometrics and Quantitative Economics in 2017. 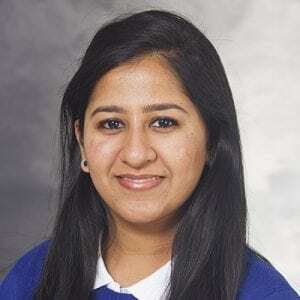 Trained in statistical and econometric methods, Manasa’s research interests lie at the intersection of healthcare and economics and include looking at demand and supply of health services, modeling healthcare outcomes, and studying the efficiency and distributional aspects of health policy. Manasa has experience in data analysis, decision and transmission modeling, and programming in Stata, R, Matlab, and SAS. Outside of work, she enjoys trying out new food, stand-up comedy, and keeping abreast of the latest in popular culture.